Long before vampires were the sparkling love interests of every tween girl, they were feared by everyone from innocent children to wise old priests. The intelligent thing to do, as everyone knew, was to kill them on sight. 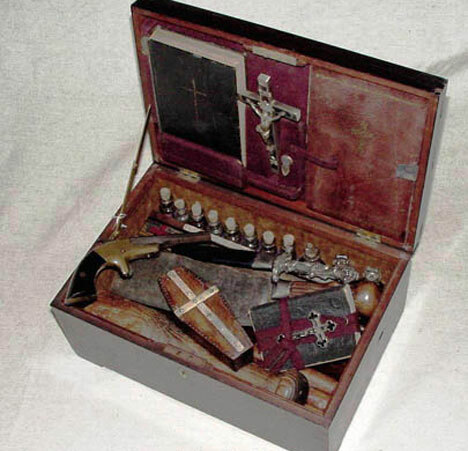 These antique 19th century vampire killing kits have caused quite a stir in the last couple of years among auction-goers, with the one above selling for a shocking $14,850 in 2008. Over nearly 30 years of auctioneering, Stevens Auction Company of Mississippi has seen four of these high-quality kits pass through their possession. 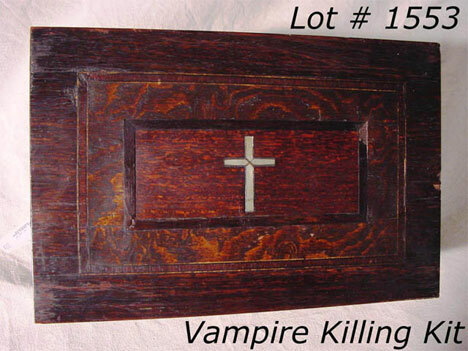 They sold this kit in 2009 for $8000, a pretty reasonable price considering the age and quality of the item. 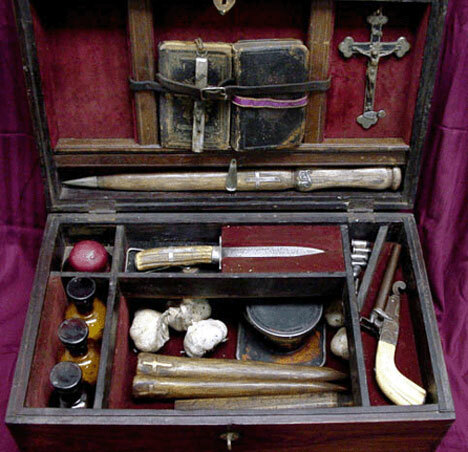 The outer box is solid rosewood, and it contains just about everything you need to slay the undead: a Bible and prayer book, a mirror, vials of holy water, a silver dagger, some candles, a crucifix, wooden stakes, a cleaver and a tiny pistol with silver bullets. These kits were apparently not made as jokes: they are solid, high-quality tools that would have been quite expensive when new. 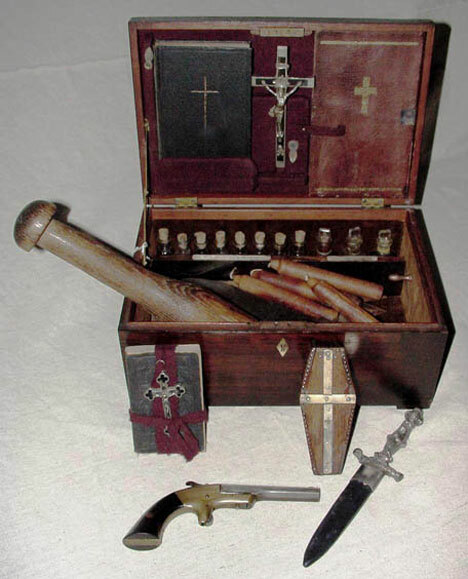 What would the original owner of this kit think if he or she could see the way tweens fawn over vampires these days? Those tweens would no doubt be the subject of some suspicion for sympathizing with such evil supernatural beings.